Conveniently folds in to less than 1 inch wide for storage when not in use. 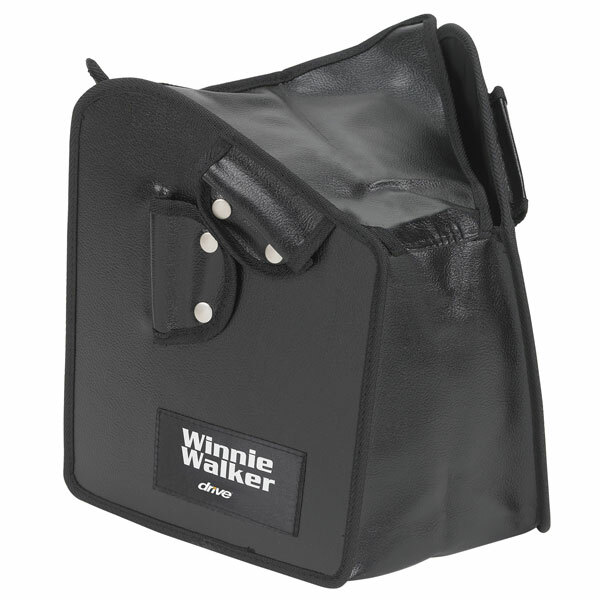 For use with the Winnie Deluxe Rollator Walker and most other 3-Wheel Rollator Walkers by Drive, this convenient black carry pouch helps you securely transport your personal belongings wherever you take your Winnie. Simply snap the carry pouch in place and you will be able to easily bring your prized possessions with you when traveling, walking through airports, going shopping or anywhere you go. This is the perfect add-on carry pouch or replacement accessory for your Drive Winnie Deluxe 3-Wheel Rollator Walker or most other 3-Wheel Rollator Walkers by Drive. Folds out to 14 inches wide. Conveniently folds in to less than 1 inch wide for storage when not in use.